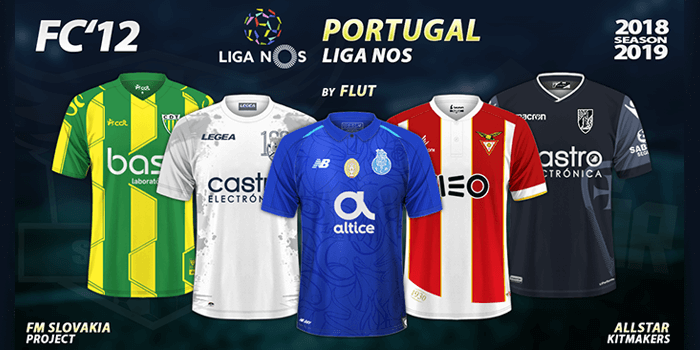 The real kits of FC’12 Portugal Liga NOS clubs for the 2018/19 season in FC’12 style. Can be used with every Football Manager since 2009. FC’12 style is a kit style project of FM Slovakia. This league pack contains 49 real (5 alternative) kits; home, away and third for most clubs in this style.